If you have put the wrong fuel in your car in Crewe, you can call one of our expert Cheshire East fuel drain technicians. 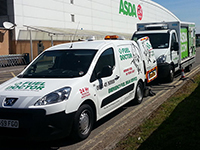 We have Fuel Doctors covering all areas in and around Crewe. 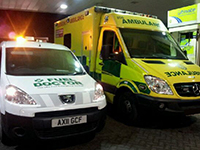 If you live in Cheshire or the surrounding areas we can usually be with you within the hour. 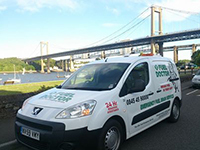 The process can take anything from 15 minutes to 30 mins rest assured we'll get you back on the road again as soon as possible. We are the cheapest fuel drain company serving Crewe and the surrounding areas. Supporting the Cheshire NHS after a wrong fuel episode. 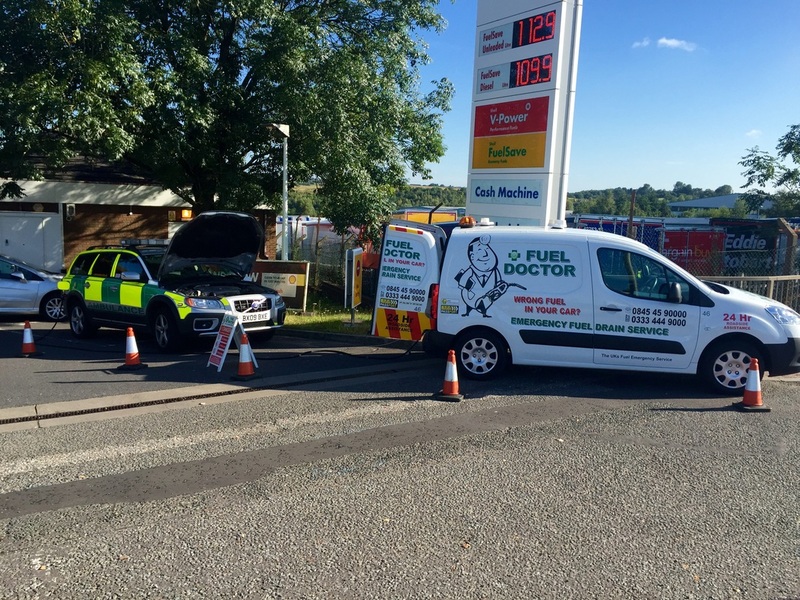 Fuel Doctor are a national company with experts in Cheshire on standby. 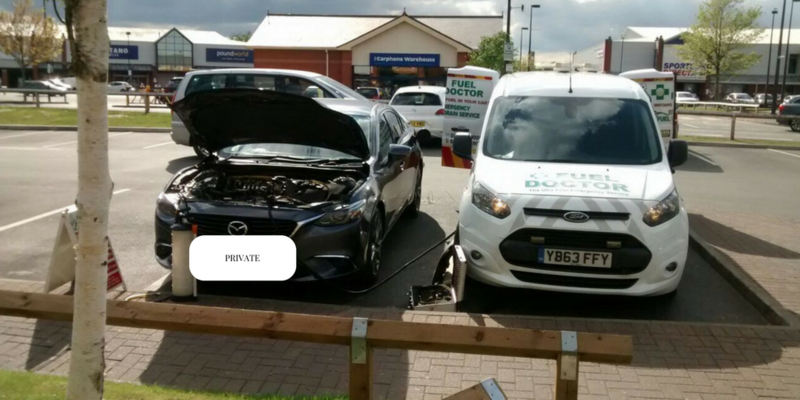 If you've put the wrong fuel in your car, call us anytime and you will have a dedicated local Crewe Fuel Doctor to get you back up and running. Everyday lots of people put the wrong fuel in their car in Cheshire area, whether its diesel in petrol or vice versa. It's so easy to make this mistake, and here at fuel doctor we understand that you need us there fast so you can get up and running again. 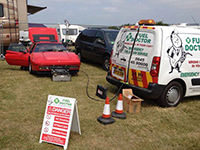 No matter where you are in the Cheshire area, we have a Fuel Doctor near you. We will be with you within the hour and with you for around 15 minutes. Don't panic, just call us. "I bought a new car recently and was still in the mindset of fuelling the car with Diesel, unfortunately the new car was petrol! After realising my mistake I called Fuel Doctor Crewe and they had me back on the road in no time!" The customer values his privacy so we have obscured his number plate, you can call him "Mr H" from Crewe. Mr H filled his petrol car with diesel at a busy retail park in Crewe, Cheshire on 22/5/17. He had also driven the car before realising his mistake, we were able to drain and clear his system and have him back on the road within the hour.